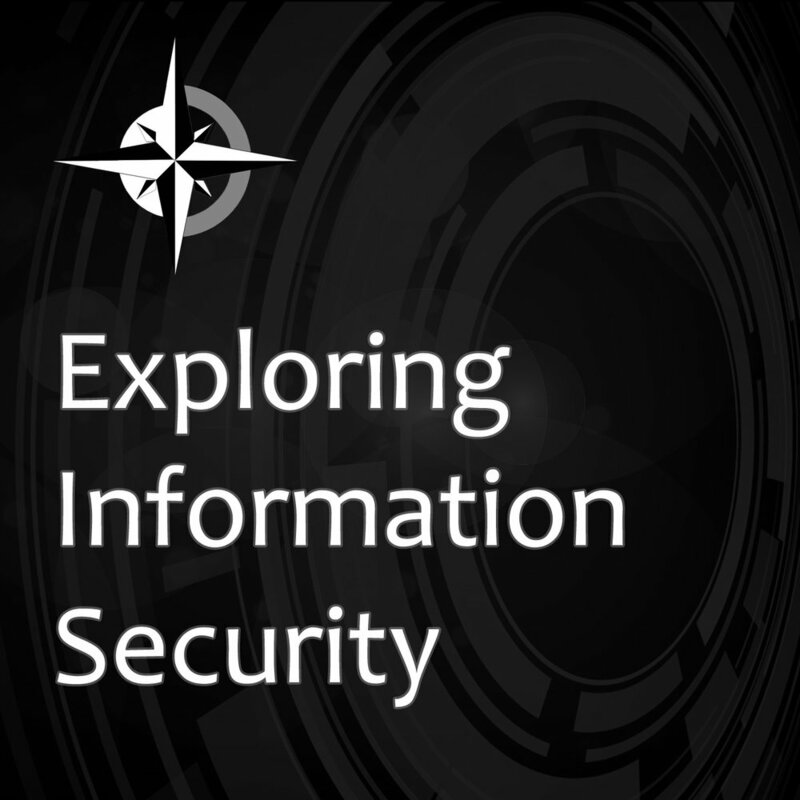 Tonight I will be sitting down to record the last podcast of the Exploring Information Security podcast. I wanted to take a moment and put it in blog form to collect my thoughts. It’s been a wonderful ride producing the EIS podcast. I started it back in 2015 because I wanted to shift my energy to the infosec field. Previously, I produced an Astros podcast that ran for three to four years. We’ve hit around the same amount of episodes. I’m find it hard to get motivated to produce podcasts for EIS. The quality of the last two months of the podcasts have been below my standard. I apologize for that. I also believe that it’s a sign that I may need to stop producing episodes for the foreseeable future. I say foreseeable future, because I think the podcast is a wonderful resource for people in the industry. I’d like to continue. The motiviation and the energy I get from the podcast isn’t there. Part of that, I think, is due to my schedule last year. I went to eight security conferences last year. I traveled every month for both security conferences, training, holiday, and leisure activities. I was worn out by October and ended up leaving DerbyCon early because I wasn’t in a great place mentally. I’m trying to take a break this year. I have plans for two security conferences this year and that’s it. I’ve been going hard in the infosec community doing podcasts, attending conferences, speaking, volunteering, and blogging. That’s all led to my current role. I am now the manager of security engineering, application security, and pentesting at my company. I couldn’t be happier. I also couldn’t be more exhausted. I come home more much more drained. That’s partly because I’m spending a few more hours at work each week. It’s also because, it’s a constantly flow of work and I’m trying to get adjusted. My mindset has also shifted. Now instead of being as concerned about a security appliance or control, I’m concerned about how I put my people in the best position to succeed. I’m managing workload more than actually doing the work. I’m trying to figure out how we can be more efficient, while also navigating the political minefield. Management is something I knew I wanted to get into years. So much so, that I’ve been listening to Manager Tools since 2014. I have a great manager and a great CISO. You probably don’t know there names and that’s okay, because there’s a lot of good people in the security industry that are doing good work that you don’t know about. I’m fascinated by that and I’m curious if that’s something I should do. Pull back from the community. Contribute and do it more strategically (manager word!). Maybe this is it. Maybe I bring it back in a year. Maybe I start a new one. I don’t know. Maybe someone takes up the EIS logo (contact me timothy[.]deblock[@]gmail[. ]com or Twitter @TimothyDeBlock). I’d like to maybe blog more. Right now I’m focused on my new position. I’m focused on putting my people in a position to be successful in the field. I’m focused on my family who hasn’t had me home as much because I was at a conference or a meetup. This isn’t good bye. This is the closing of a chapter and the start of a new one. 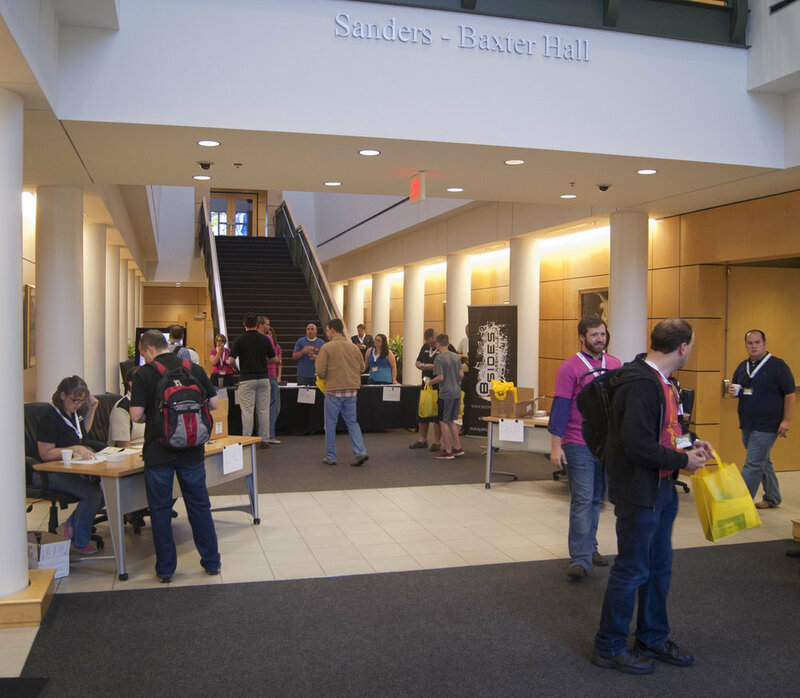 BSides Nashville 2014. One of the first pictures I took for the security community. Get involved with the infosec community. That’s it. I’ll elaborate. Become an active member of a niche community in the field (OMG the slack channels out there). Writing a blog post. Shooting pictures at a conference. Find something you’re really passionate about (not infosec) and bring it to the field. For me it started with photography. I’ve always liked taking photography. I have a media arts degree and took some photography courses (so I kind of not what I’m doing). I reached out to a BSides organizer to see if they’d be okay with me coming and shooting some pictures at the conference. That one contribution, eventually led me to my current place of employment (and I absolutely love what I’m doing). It was BSides Nashville. One of the organizers works at the place I’m currently employed. They were looking for an AppSec guy, so told her AppSec guys. I luckily knew one of those AppSec guys and as a matter of fact had just started an OWASP Chapter with that AppSec guy. You never freaking know when things will connect for an opportunity*. * I met my wife, because we saw someone we knew on the highway at 80 MPH. A story for another time. Prior to that I would look for a job via online postings. At one point it took me 15 months to find a new job. I got into security via a job posting, so there is a path that way. It’s just not the most efficient. I got my next security role, because I had helped start a monthly local user group meetup. The CISO was looking for a few good security people. That local user group has gotten several other opportunities. Mostly because of who you know; partly because it looks really good on a resume. It looks like you’re engaged. Everyone has a different path. What increases the chances is getting out there. Contributing without expecting anything in return. Showing that you can provide value to someone else. What are your strengths and passions? Now bring that to the infosec field. I put out a tweet earlier today that seems to have resonated with people. Pro tip for those in a junior IT position: Have a notepad and pen ready for notes during meetings and when someone is showing you how to do something. The tweet was a result from a conversation I had with someone in IT. They were asking me about a decision made in a meeting they were not only in, but also setup. I was a little flabbergasted that he was asking me about what decision was made. "You didn't take notes?" was my first thought. One of the best (if not the best) tips I've been given in IT, is to bring pen and paper. The idea being to write down instructions or jot ideas or action items or decisions in meetings. Many years ago, shortly after landing my network administrator gig, I was being shown how to administer one of the many tools we have. As we started going through the tool, the senior in the room asked me why I didn't have a pen and paper. I didn't have an answer. I was then asked how I was expected to remember the instructions. Since then I've gone through hundreds of notebooks. At one point I had them categorized between instructions, troubleshooting, investigations, and a variety of other topics. I don't think there's a true way to take notes. Whatever is found to be the most effective. For me, it's about step-by-step instructions, follow-up questions, and action items. For follow-up questions, I circle them so I need to go back. For action items, I use a rectangle. Step-by-step instructions are transferred to our documentation repository. Everything else is for remembering context or decisions later. I take a notepad and two pens to every meeting. I leave my laptop at my desk unless I need to run a meeting. This is two-fold. I don't want to be distracted by the computer and writing things down is more effective for memory retention than typing. I bring two pens in case someone forgot their pen (makes a good impression) or one of mine explodes or stops working. It's one of the most effective things you can do on a daily basis. If you want to dive into why it's important I recommend Career Tools A Notebook And A Pen episode. They also have several other's on how to take notes. It's what helped me refine my approach.